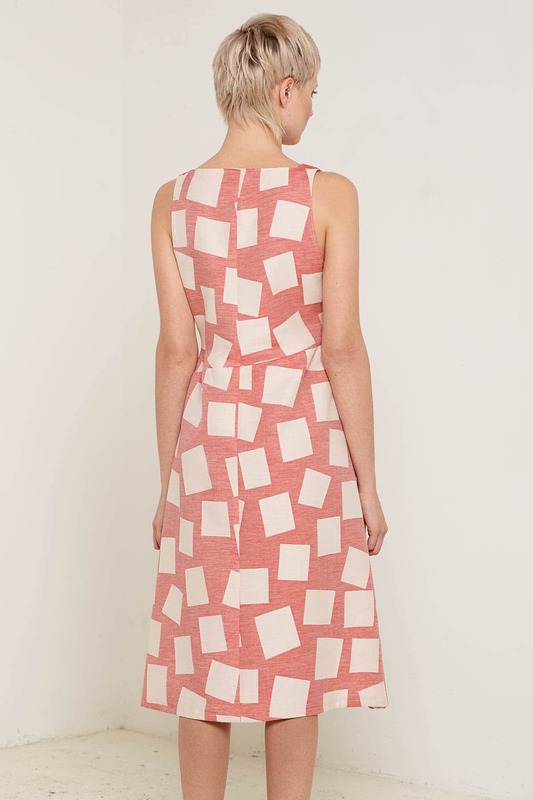 Knee length, asymmetric dress made from roll end fine jacquard woven cotton. A striking design of asymmetric cuts. Designed and made in England.